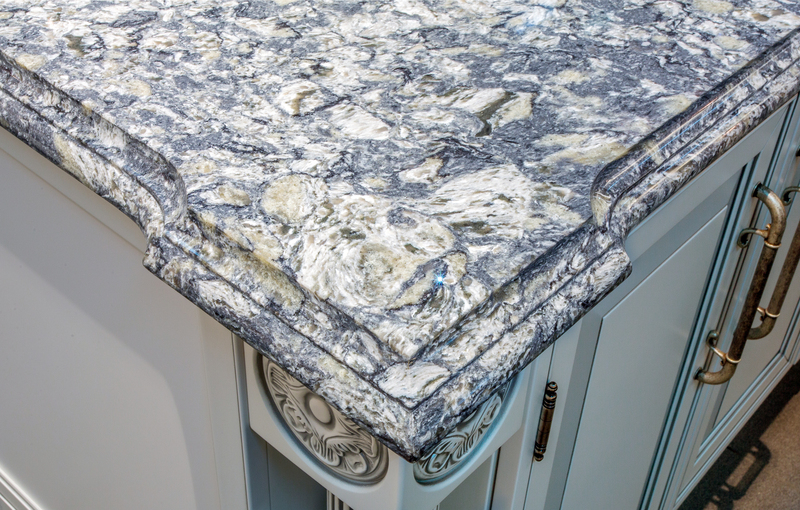 Vicostone® | R &D Marble, Inc.
Practicality and function meet luxurious beauty. 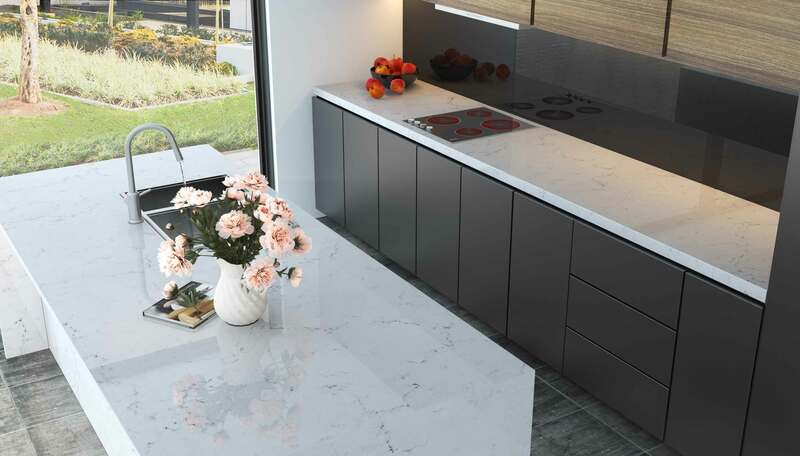 Vicostone® has a special, luxurious beauty that is produced from 93% pure natural quartz aggregates. They are adhered with a color powder and polymer resin. The hardness and flexural strength of this material are much higher than other brands of engineered stones and natural stones. You will find Vicostone® used in numerous interior applications including kitchen countertops, bathroom surfaces such as vanities, wall paneling, and even flooring. Certified by NSF for food safety (ANSI 051) as well as by GreenGuard to be free of volatile organic compounds, reputable organizations have proved Vicostone® to be Microbial Resistant proving that it is anti-bacterial, prevents mold growth, and is an environmentally friendly product. As one of the leading engineered stone manufacturers in the world, Vicostone® can provide multi-million square meters per year. Using the latest technology, and most advanced techniques, this product utilizes Breton Technology. There are five production lines of compound stones utilizing the technology transferred from Breton S.p.A. (Italy). Wide color palette: Offers a wide color pallet with more than 100 designs to meet all customer’s needs. Innovative and unique design: By investing in R&D, Vicostone® is able to provide the most innovative and unique designs that will bring a very special touch to your home. Durability: It’s resistant to corrosive chemicals (acids or common cleaning solutions), scratches, heat, and impact. This alone makes it superior to granite and other natural stone. Safety: Vicostone® is certified for food safety by NSF (ANSI 51) and GreenGuard that it is safe for indoor air quality of commercial and residential facilities, including for schools and children. 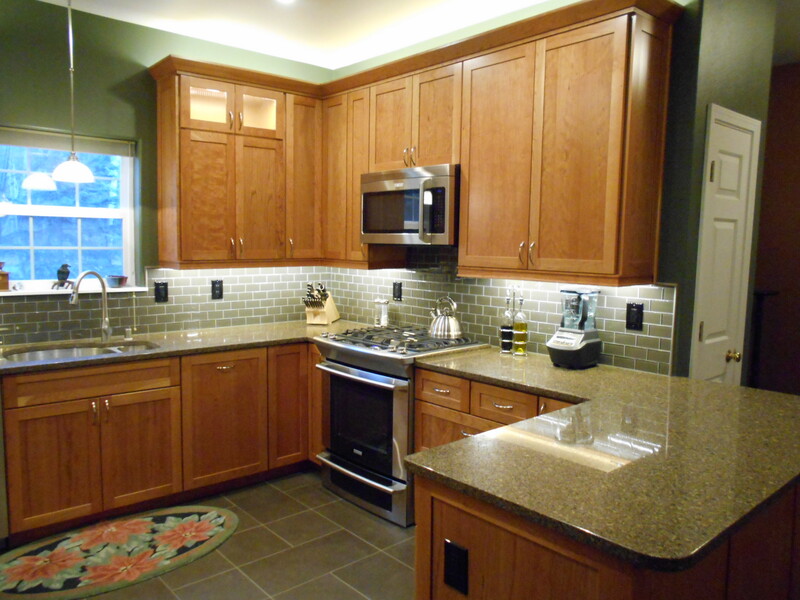 Made for interior use, Vicostone® is perfect for kitchen and bath applications. Low maintenance: Since Vicostone® is stain resistant, it can simply be cleaned with mild soap and warm water. It will maintain its superior features and keep your kitchen clean and safe to use without any special care, unlike granite and natural stone that requires resealing periodically.